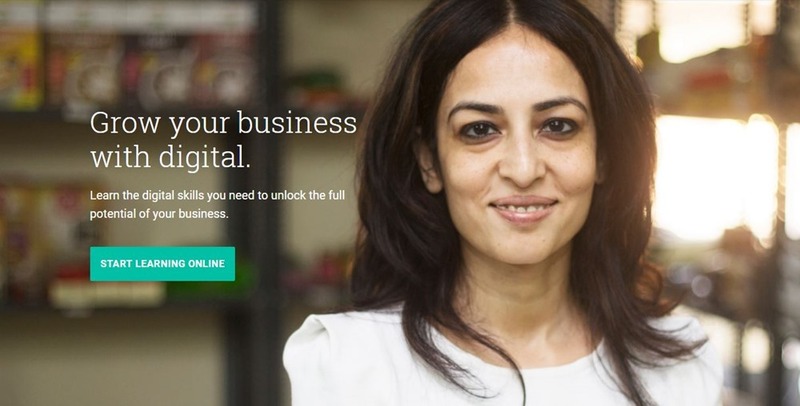 Google unveils ‘Digital Unlocked’ and 'My Business Websites' for Indian Small Businesses! Google unveils ‘Digital Unlocked’ and ‘My Business Websites’ for Indian Small Businesses! Setting up a business in India can be a daunting task, and Google has taken up very clever initiatives to ease the issues faced by business owners. Be it Google Partners, or a dedicated website for small businesses, or just reduction in prices of Google apps for SMBs, the company has made it quite clear that they are here to support growing entrepreneurs. Google CEO Sundar Pichai on 4th January announced two initiatives ‘Digital Unlocked’ and ‘My Business Website’ to give a technological push to small and medium business in India. Google has invested in an open ecosystem, and follow a similar trend while developing technologies for entrepreneurs in India. “At Google, we believe that as Indian small businesses chart their growth journey, technology is playing a pivotal role in helping them explore new markets, engage different audiences and compete more effectively. And our focus is to enable them with the right skills and tools to help them digitize and leverage the full power of the internet,” Google blog post said. Google launched a large scale training program for Indian SMBs – Digital Unlocked. With this program, the company envisages making quality training in going digital available to every single small business in India that wants it. Any business that needs training to grow themselves can register with Google. These trainings will be available to SMBs in three modes – online, offline and mobile. The offline training is being conducted in partnership with FICCI and over the next three years, 5,000 workshops will be held across 40 Indian cities. The online training comprises a set of 90 self-paced video tutorials, curated specifically for India and is available free of charge at g.co/digitalunlocked. The tutorials cover a comprehensive set of topics ranging from building a web presence and driving online growth to reaching customers over mobile and video digital and email marketing to social media. The trainings are certified by Google, Indian School of Business and FICCI. On the mobile front, Google also launched Primer, a free mobile app uniquely designed to teach digital marketing skills in a quick, easy and interactive way. It is available for download through theGoogle Play andiOS App Store. Primer also works offline and is currently available in English and Hindi with Tamil, Telugu and Marathi versions coming shortly. Often when people setup a business in India, they are not able to figure out a way to create a nice and simple website that would help them grow their business and reach out to the target customers. Without a website, the business can only grow so much. This why Google has unveiled ‘My Business Websites’ so as to help the small businesses in a simple way to create their own free, mobile optimised website, easily and instantly. Google won’t be creating a fancy website for small and medium business. In the end, you should also be able to customize your website. They will only provide a simple template and editable websites created from the information and photos provided on Google Maps. My Business Websites will be available in English, Hindi, Bengali, Telugu, Marathi, Tamil, Urdu, Gujarati, Kannada, and Malayalam. Google says it has engaged over 8 million SMBs in the last two years by helping them being exposed on the internet to various people. This initiative will surely help business grow, since a lot of clueless when they start and often do not find the right guidance. The training programs in collaboration with FICCI and ISB will help the SMBs gain significant knowledge of improving their business and raking in more money, while also maintaining their USP. A simple website can sometimes do wonders, and you don’t always need a fancy website to get your work done. This way, someone who wants to open a small company on stationery, can simply do so by creating a website through My Business Websites and take proper training courses to learn the nitty gritties of growing a business. "Google unveils ‘Digital Unlocked’ and 'My Business Websites' for Indian Small Businesses! ", 5 out of 5 based on 2 ratings. Ola Announces ‘Share Express’ to Reduce Costs on Busiest Routes by 30%! Should You Buy The Gionee S6 Pro? It’s A Matter of Price Vs Quality!